Tech Zone believes that classroom study and hands on (laboratory work) should be brought together for each subject taught so that the student learns the intricacies of the subject as he would learn them were he on the job, performing the tasks that he is studying to master. The instructor and student will apply, in the lab, the theory he has been taught as theory in his classroom study. 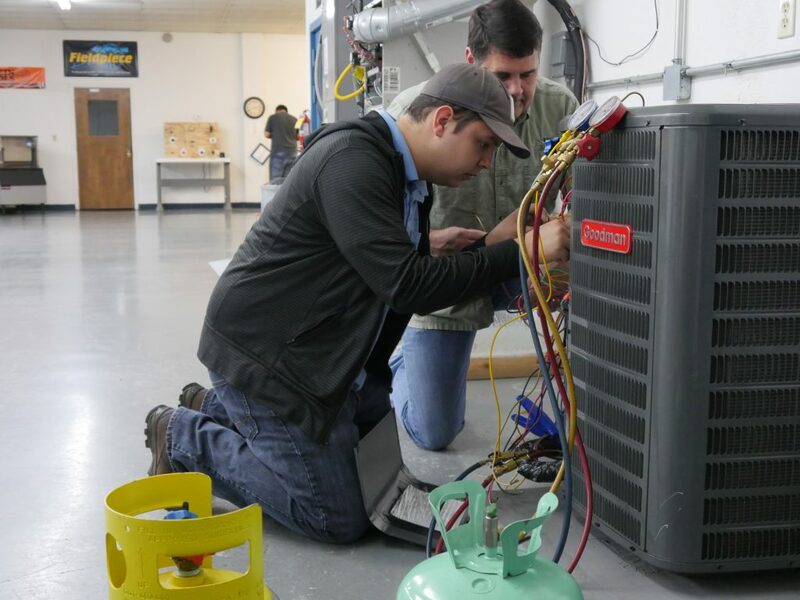 Our classes, both hands-on and theory are designed to teach the student a basic understanding of HVAC in a way that will instill the confidence needed to perform tasks in a real world environment with a knowledge of the equipment and techniques needed to successfully complete the work. 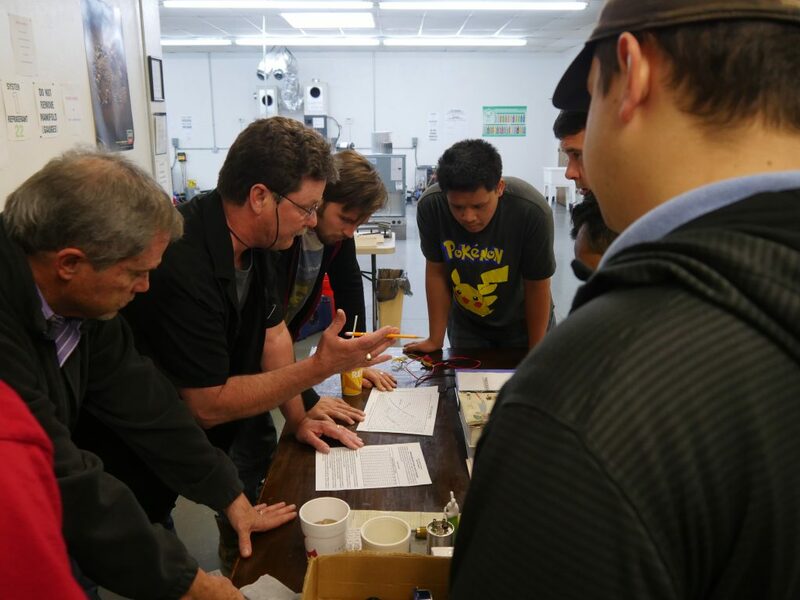 At Tech Zone the instructor will teach the importance of understanding the electrical and mechanical components of a system and how to properly charge and diagnose the system through an understanding of heat transfer, theory and the pressure/temperature relationship. Tech Zone will teach information that is useful and practical in the HVAC field. Classes are kept small so that we can focus on each individual student. Texas Department of Licensing & Regulation (T.D.L.R.) after graduation allows our students to register as CERTIFIED technicians. The Federal Government of the United States requires all individual who open a system or container holding a controlled refrigerant to be certified. Persons who work on stationary equipment or use refrigerant designed for these systems can become certified by passing a proctored Section 608 examination. Candidates for this test can be certified in any of the three equipment categories plus Universal. Type II A Type II technician primarily works on equipment using high pressure refrigerants such as HCFC-22. The equipment includes residential air conditioners and heat pumps, supermarket refrigeration and process refrigeration. Type III A Type II technician primarily works on equipment using low pressure refrigerant such as HCFC-123 or CFC-11. The units are primarily chillers. UNIVERSAL Any candidate passing all three of these EPA types is certified UNIVERSAL. To pass any EPA type, a candidate must pass a CORE section of the test plus one of the technician types listed above. Once CORE is passed it need not be taken again and it may be used for additional EPA types. Tech Zone has designed a program to give the best possible chance for the student to successfully pass all sections of 608 testing to become universally certified. The cost of the EPA 608 Certification course will be $135.00. The class includes the EPA test and course with a workbook that identifies important areas covered by the test. Each additional test (retesting) will cost $45.00 administrative fee regardless of whether you take one section or all sections. Absolutely NO REFUNDS will be given a missed test. You may reschedule for a later date if scheduled test date interferes with previous plans. Class time is four (4) hours and is followed by two(2) hours for the EPA certification test. EPA testing is a closed book examination. Each Test has 25 questions for a total of 100 you may select the technician types for which you test. You will only be graded on the types of test you selected. The EPA test is divided into four sections; the first section contains 25 questions for CORE which deals with environmental issues. If you decide to test for type I only, you must answer the questions for CORE and Type I on the test. If you decide to test for Types I and II only, you must answer the questions for CORE and Type 1 and Type II on the test. On other words, if you decide to be certified for more than one type, you must answer CORE questions plus the sections on each certification you choose. If you choose Universal certification you must answer all 100 questions on the EPA 608 certification test. The minimal passing grade on any test is 18 correct answers on the CORE section and any certification you choose. Remember you have to pass CORE section for any certification type you pass to be valid. Remember when the CORE section is passed you do not have to retake the CORE section again but you will need to show your proctors your wallet card showing the technician type for which you are already certified. Each additional test (retesting) will cost $45.00 regardless of whether you take one section of all sections. Tech Zone is licensed and regulated by VGI as a proctor for administering the EPA 608 certification test, all tests are sent to VGI for grading and licenses are issued by EPA, an agency of the U.S. government and is valid in all 50 states and many foreign countries. EPA certification class will be held on Monday when time permits according to schools regular program for HVAC-R classes. When held, EPA classes will start at 10:00 a.m. and at approximately 2:00 p.m. followed by two (2) hours for the EPA 608 certification test (for a total of approximately six (6) hours). Each student will be given a Tech Zone school certificate for showing their attendance at the EPA certification course and the hours that they attended. The Texas Department of Licensing & Regulations (TDLR) is the state agency which controls the licensing of contractors in the electrical and HVAC-R fields. 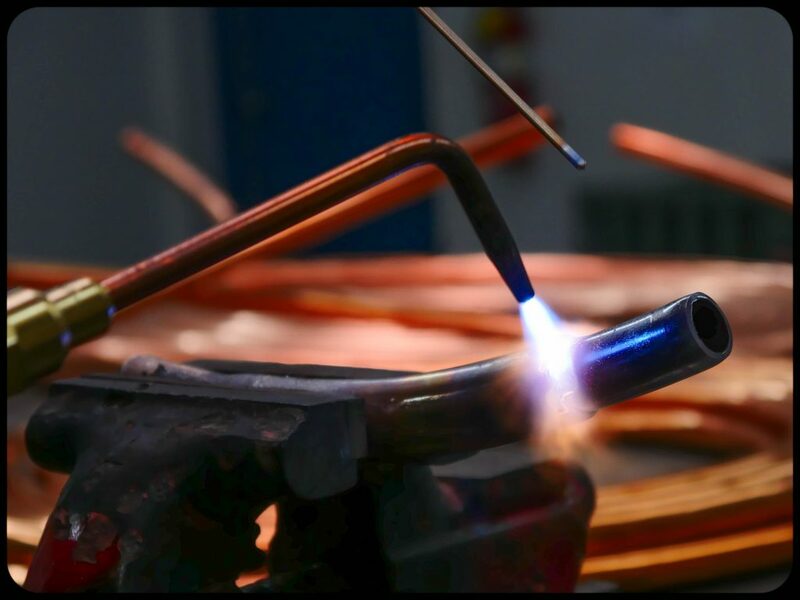 It is more than desirable to obtain TDLR recognition if it is your intention to work in the HVAC or electrical industries, especially if your intent is to one day operate your own business. 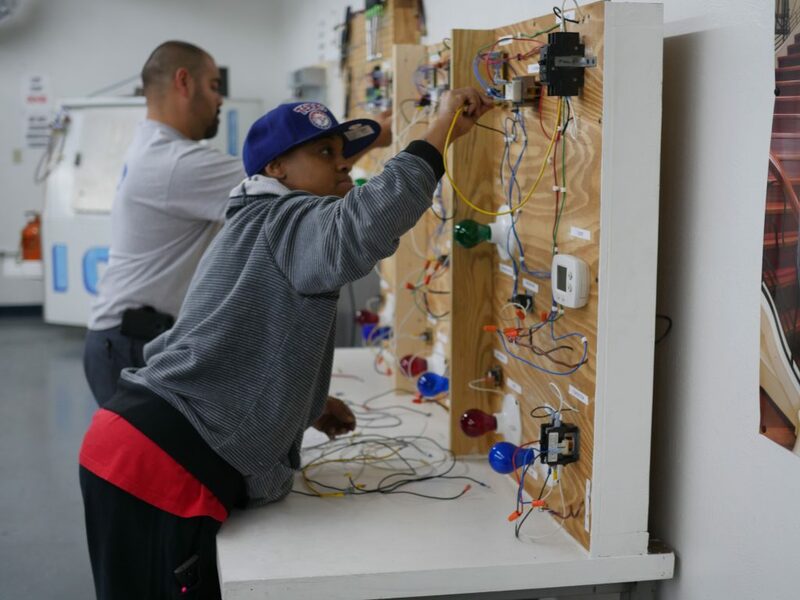 After graduation from Tech Zone you will qualify to register with TDLR as a certified technician to help you gain employment in this field: this training along with four (4) years or more of field work is your first step toward owning and operating your own HVAC business.